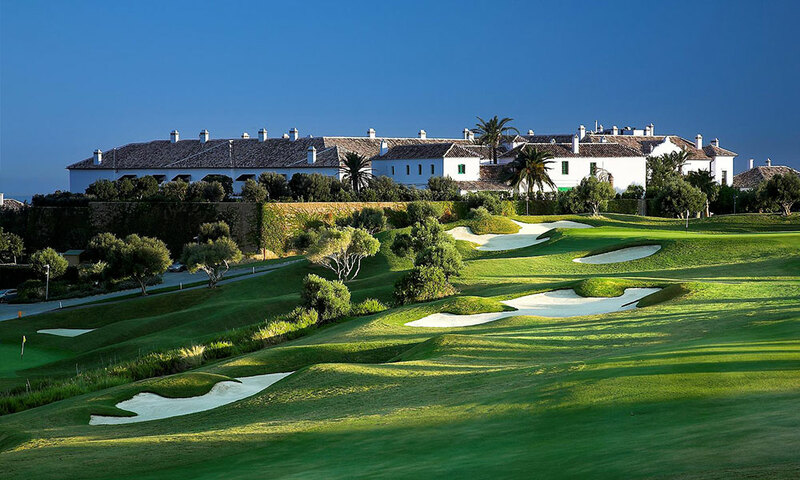 Finca Cortesin was designed by World famous golf course architect, Cabell Robinson who also designed La Reserva & Santana. Finca Cortesn layout is simply spectacular, the main features are the length of the course (6,810 mts.) and the great variety of natural vegetation including olive trees and cork trees. Fairways are generous in width with bunkers that are beautifully shaped and filled with white marble sand. The tee boxes are of a very high quality, but without doubt, the greens are one of Finca Cortesn jewels, they all have slight brakes and have the quality to be extremely fast.